Tue., 1 Oct. - Sun., 20 Oct. Thu., 24 Oct. - Tue., 26 Nov. Thu., 26 Sep. - Fri., 4 Oct. Mon., 9 Sep. - Tue., 15 Oct. Thu., 7 Nov. - Tue., 10 Dec.
Fri., 27 Sep. - Sat., 5 Oct. Sun., 20 Oct. - Sat., 23 Nov.
Wed., 15 May - Mon., 8 Jul. Sun., 23 Feb. - Tue., 10 Mar. Sun., 13 Oct. - Sat., 16 Nov. Tue., 3 Dec. - Mon., 30 Dec. Thu., 26 Dec. - Sun., 12 Jan. 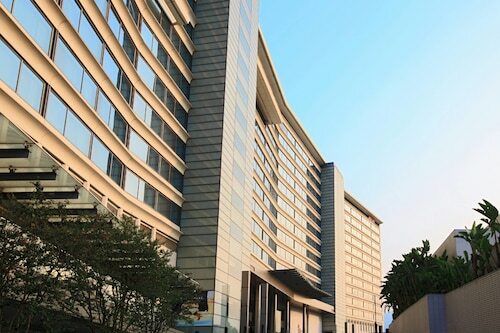 Located in Islands District, this luxury hotel is steps from AsiaWorld-Expo and Skypier. Citygate Outlets and Cheung Sha Beach are also within 12 mi (20 km). Hong Kong Airport Station is 27 minutes by foot. 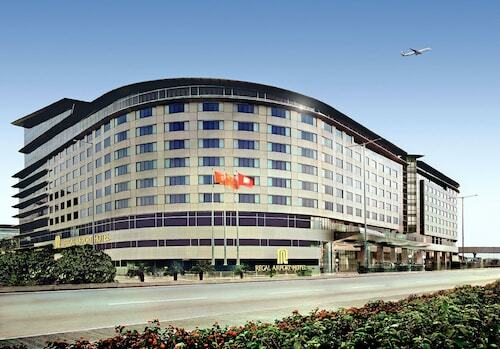 This family-friendly Tung Chung hotel is located near the airport, within 1 mi (2 km) of Tung Chung New Development Ferry Pier and Citygate Outlets. Tung Chung Fort is 1.6 mi (2.5 km) away. Hong Kong Tung Chung Station is 10 minutes by foot. 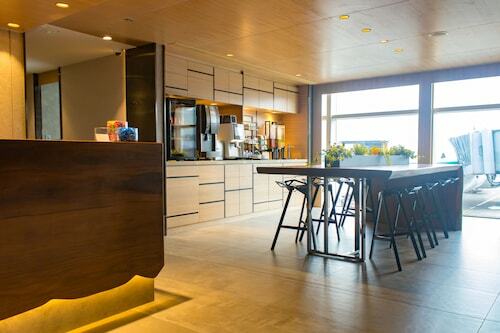 Located in Islands District, this hotel is within 6 mi (10 km) of Skypier, AsiaWorld-Expo, and Citygate Outlets. Tung Chung New Development Ferry Pier and Tung Chung Fort are also within 6 mi (10 km). Located in Islands District, this spa hotel is 2.6 mi (4.2 km) from Discovery Bay Golf Club and within 9 mi (15 km) of Hong Kong Disneyland and AsiaWorld-Expo. Citygate Outlets and Tung Chung New Development Ferry Pier are also within 9 mi (15 km). 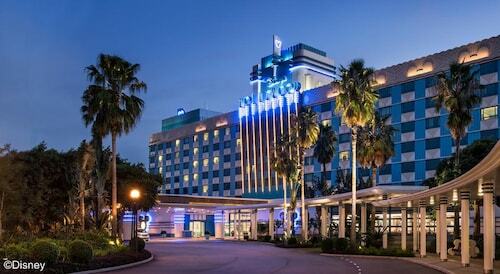 Disney’s® Hollywood Hotel is close to Hong Kong Disneyland® Park with free shuttle service available, and a 20-minute drive from Hong Kong International Airport. Answer : Of course, you're not most people, but if you were, you'd stay roughly 14 days. Question : What is the cheapest date to fly to Hong Kong? Answer : As of Apr 15th, the cheapest day to fly from Montreal to Hong Kong is May 1st. Tickets are currently $969, 35% below the average price. Answer : The cheapest day to fly from Montreal to Hong Kong is on Saturday. So, if you would like to save a bit of cash on your next trip look for flights on Saturday. Question : How much is a plane ticket to Hong Kong (HKG) from Montreal (YUL)? Answer : They can range anywhere from $882 to $6,507. Booking far in advance can usually help you get the cheapest ticket. Remember, you can save by booking well in advance. Question : Is there an alternative airport near Hong Kong? Answer : The other airport is Shenzhen Bao'an International Airport (SZX) which is 24 miles away from HKG and on average, flights are 87% cheaper for the upcoming two months. Save a few bucks and put it towards your next trip.